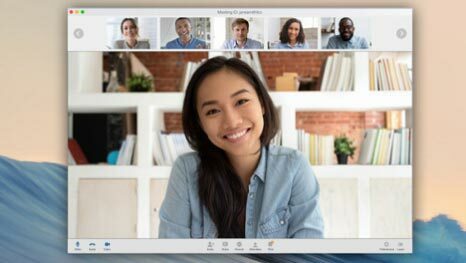 A free account lets you video conference for free with up to 1,000 participants; plus, you can record and save your meetings. That's a lot of video conferencing muscle, you say? Yes, but it looks good on you! Watch our short tutorial to see why the latest collaboration tool with video chat and screen sharing from FreeConferenceCall.com makes it a cinch to next-level your next meeting. "FreeConferenceCall.com is rated number one for both smoothest implementation and web conferencing software with the best ROI." You downloaded and launched the FreeConferenceCall.com app. Awesome. If you're looking at the Meeting Dashboard, you're already in the home stretch. 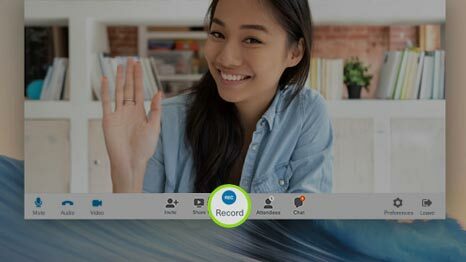 This feature enables free video conferencing with up to 1,000 participants. Our unique active speaker technology makes it easy to focus on the person speaking. Display up to five simultaneous video feeds and scroll to see up to 1,000. On the desktop app? Resize or click and drag the video feed to customize your screen. Check out who is in attendance at your meeting. Or click Chat to send messages during the conference. There are lots of ways to get answers. Watch video tutorials to learn more or sign up for a live training. Contact our award-winning Customer Care team at (844) 844-1322 or support@freeconferencecall.com.